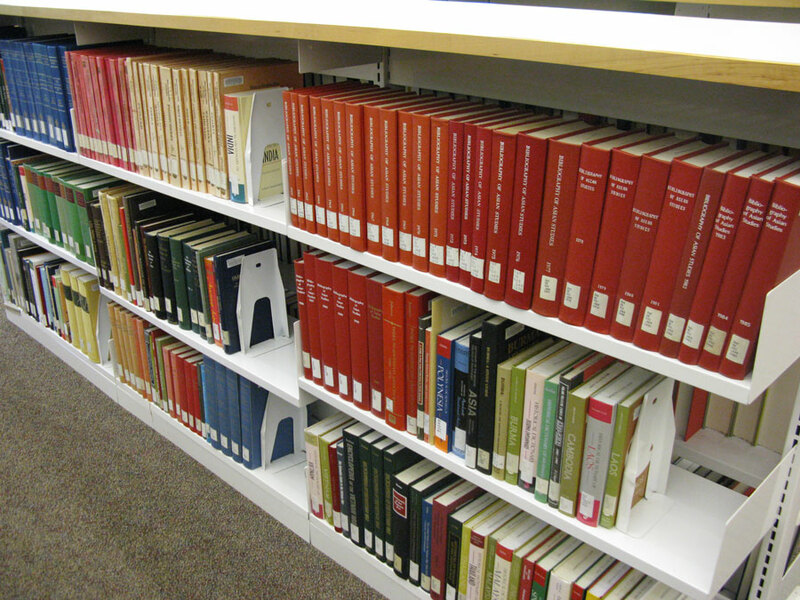 The larger part of the collection of books is on the lower floors, but on the 4th floor are the reference books. They are located by the computers. 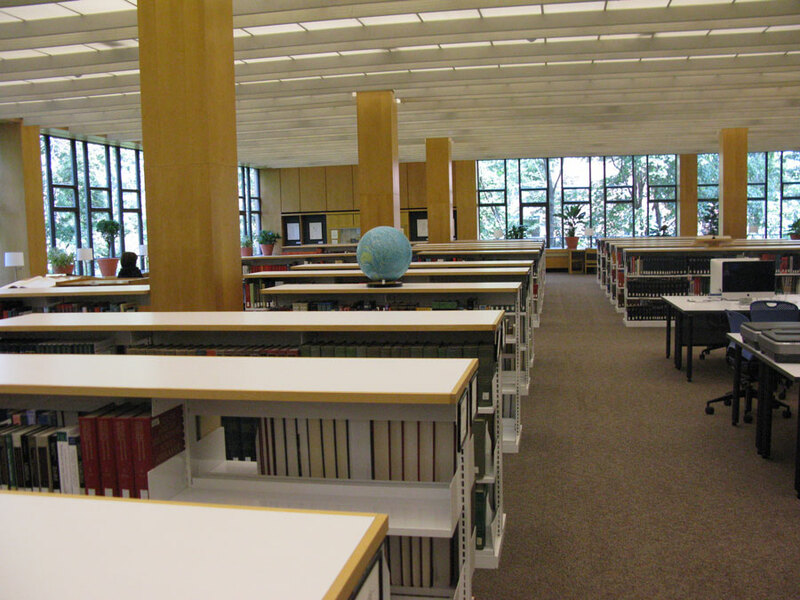 Though they cannot be checked out of the library, there are scanners and copy machines nearby.